Drakesdoom is my F20 setting. 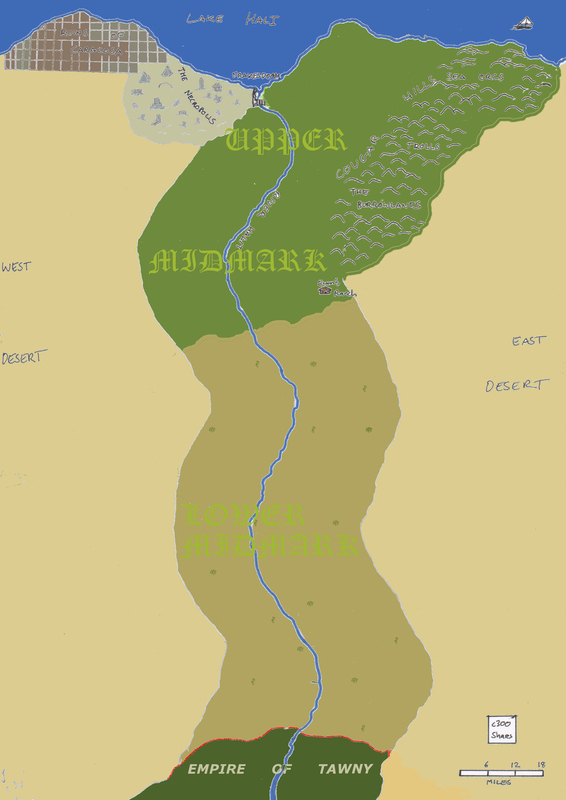 A newly established (say 30 years old) City established after a an adventurer led a party across the Deserts, towing three arbalests which he used to kill a Drake rampaging over the river valley and lake shore. That adventurer crowned himself the Margrave of the newly established Midmark governed from Drakesdoom attracting immigrants to settle his new territory. Drakesdoom is nestled next to the ruins of the ancient civilisation of Caracosa, destroyed by the Drake and it’s haunted necropolis. The promise of the hidden knowledge in the ruins has attracted sages, scholars and necromancers amongsts the caravaners, cattlemen and traders drawn by more conventional riches. Beyond them come immigrants looking for a free, new life within the open minded borders of the Midmark. All these parties bring baggage from their homelands and transgress of the territory of the Desert Raiders, the Empire of Tawny and other peoples how lived in and around the Midmark.